My Motion Got Stuck on One Word: "Abortion"
The word "abortion" seemed to cast a hypnotic spell over MPs who spoke against Motion 312 in the Parliamentary debate, causing them to suspend thoughtful analysis and abandon time-honoured Canadian values and institutions. Canadians across our land are beginning to realize the damage to our democratic institutions and principles being done by those whose single-minded, intransigent and extreme preoccupation with protecting our abortion practices leads to abandon essential Canadian ideals. "Woodworth Says Opponents of M312 Must Give Up Single-Minded Preoccupation with Abortion"
That's the headline about Motion 312 that should have been applied to every commentary. The word "abortion" seemed to cast an hypnotic spell over MPs who spoke against Motion 312 in the Parliamentary debate, causing them to suspend thoughtful analysis and abandon time-honoured Canadian values and institutions. Protect the independence of backbencher MPs against increasing irrelevance? No, some said, our preoccupation with abortion leads us to demand that the Prime Minister be given a veto over the independence private members' business! Require every law to honestly reflect reality? No, they say, our preoccupation with abortion leads us to close our eyes to 21st century medical evidence and advances in understanding. It doesn't matter anyway, since our concern for abortion requires us to pretend or even lie that a child is not a human being until complete birth no matter what the evidence might reveal. In the last Parliament, many of the same people who spoke against M312 were asked to legally denounce men who coerce women into abortion. However, they replied, their preoccupation with abortion did not permit them to agree to protect women from that! Encourage national reconciliation on issues important to millions of Canadians by encouraging respectful, consensus-building dialogue? Goodness no, our preoccupation with abortion means we must not give an inch of compromise or tolerate an ounce of dissent! Support a study about how best in Canada to honour the principle that human rights must be extended to every human being? No, our preoccupation with abortion tells us that studying how best to recognize the equal and inherent worth and dignity of every human being would be "the first step on a slippery slope," one said. That last sentiment is more worthy of a bloodthirsty, fascist regime than of the democracy most of us would like Canada to be. The person who expressed that very alarming idea was undoubtedly too blinded by his personal preoccupation with abortion to realize that the proposed study he was maligning was about subsection 223(1), a law which denies that every human being has an equal and inherent dignity and worth. Freeze in time forever a 400-year-old law? But of course, our personal preoccupation with abortion demands no less! Declare our legal definition of human being to be forever immune from democratic review? Of course, what else would our single-minded focus on abortion allow us to do? Render a 400-year-old definition of human being forever immune from strides in medical knowledge and advances in modern understanding? Our preoccupation with abortion demands it! Those who wrote or spoke in opposition to Motion 312 seem to believe they have only to shout "abortion" in the crowded theatre of Canadian politics and then stand back to watch the fleeing crowd of politicians trample Canada's most cherished ideals. Some of those who spoke in the debate seem to feel that the word "abortion" is, figuratively speaking, a magical incantation that will enchant or mesmerize all but the most clear-thinking politicians, seducing them to abandon every other important value -- including any democratic institution, any devotion to honest laws, and any recognition of the equal and inherent worth of every human being. But the mesmerizing effect of the word "abortion" doesn't hold that much sway outside of the House of Commons. 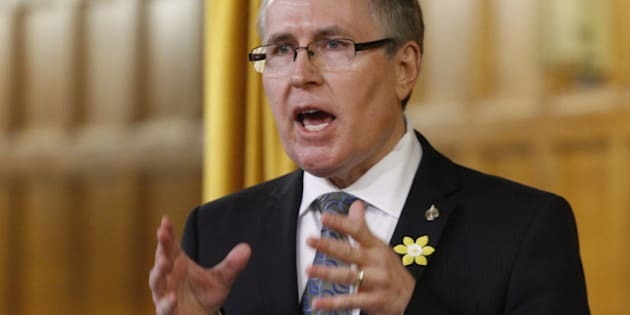 Canadians across our land are beginning to realize the damage to our democratic institutions and principles being done by those whose single-minded, intransigent and extreme preoccupation with protecting our abortion practices leads to abandon essential Canadian ideals. I have faith in the people of Canada. I am confident that the people of Canada, with persistence, can win the argument that democratic institutions, the necessity for laws to honestly reflect reality, and the grave necessity to recognize the equal and inherent worth and dignity of every human being are more important than any personal preoccupation with abortion. This consensus already exists among the vast majority of Canadians and will in time also reach the floor of the House of Commons. Canadians must continue to believe in progress and to have faith in the future. Science and advances in modern understanding will drag Parliament into the 21st century despite the vote on Motion 312. Twenty-first century medical realities will prevent Parliament from shielding subsection 223(1) forever. The sweep of history is on the side of justice and human rights.